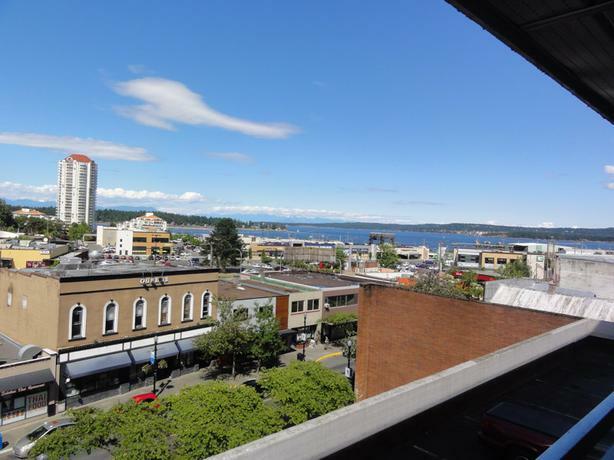 This Ocean View, 1 bedroom and den (2 bedroom) is in a great location in Downtown Nanaimo. The unit is in a well managed, 60 unit concrete and steel building that has a contingency reserve fund of over $400,000. The 2018 gross property taxes are only $1391.15 and the monthly strata fee is only $231.89 The building has gated, covered parking and extra storage lockers. This unit is well priced, as a similar unit in the building that is 160 square feet smaller recently sold for more than $280,000 Enjoy your morning coffee on the deck while enjoying the veiw from your balcony.